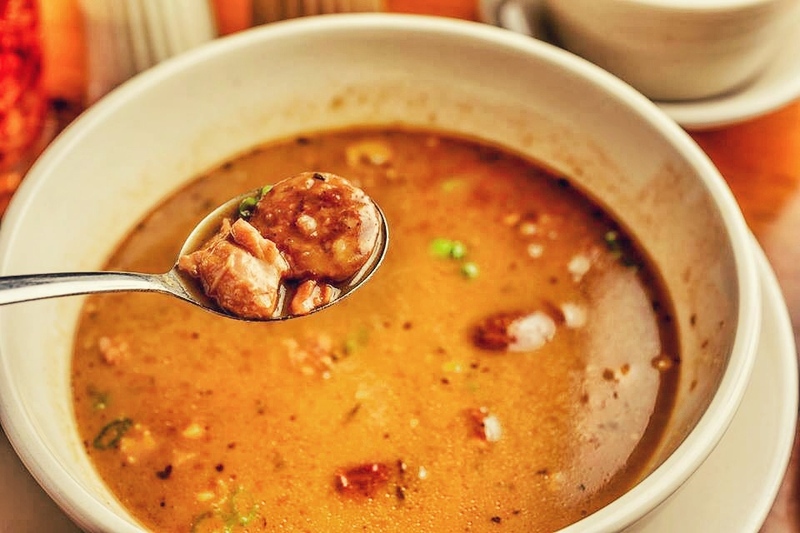 When the temperatures dip outside, that means one thing to Cajuns: it's gumbo weather. This winter has seen its fair share of prime gumbo weather, but one of my favorite days was back in December, the day before it snowed. I was getting together for lunch with my friend Liv, a fellow 705 member and an advocate for zero waste journeys, before she and her family moved to Colorado. 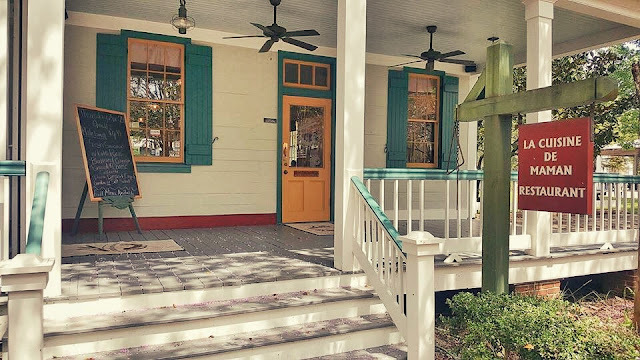 I suggested meeting up at La Cuisine de Maman, the restaurant located inside Vermilionville in Lafayette. The restaurant is known for its homestyle Cajun cooking and seafood buffet (which I haven't tried out yet! 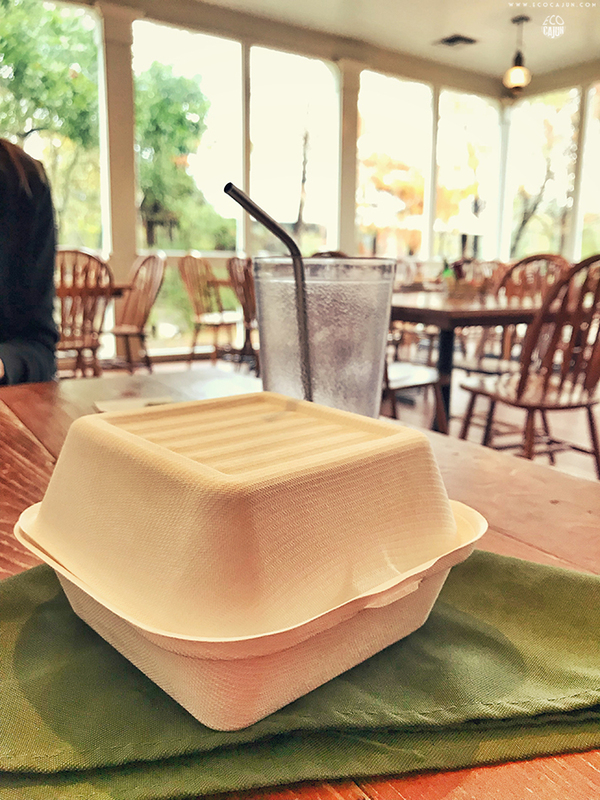 ), but to me it's known for something else - it has transitioned away from Styrofoam to-go containers. Thanks to the Bayou Vermilion District, who operates Vermilionville, the restaurant switched to using compostable bagasse containers in late 2016. The day we got together, it was cold and rainy outside, the perfect day for some comfort food. I immediately opted for a bowl of chicken and sausage gumbo with a side of potato salad. Liv ordered shrimp and grits. We both ordered "water no straw" and grabbed our own stainless steel straws instead. 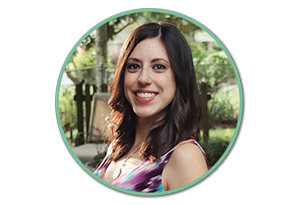 It was fun to have a friend to talk about green lifestyles and zero waste efforts with for most of a lunch date. One thing I didn't realize much about La Cuisine de Maman is how affordable it really is. My giant bowl of gumbo (which I was too hungry to take a picture of, so this is from their Facebook page) and potato salad were seven dollars total. SEVEN! I feel like most restaurants in this town now charge upwards of $12 a bowl, not including the potato salad. Oh and how satisfying that gumbo was. I've already eaten lunch today and I'm salivating over the thought of eating this gumbo again. Another way the restaurant cuts down on waste is by using cloth napkins. 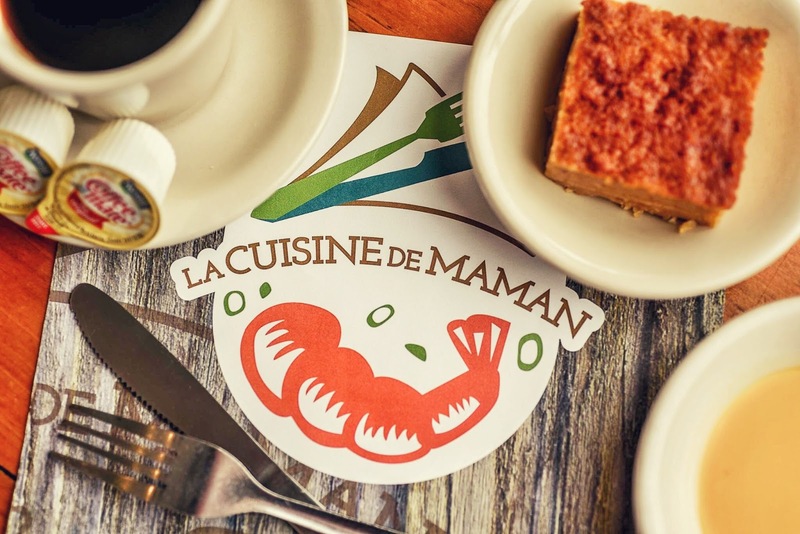 If you're in Lafayette, or you're traveling through the area, take a quick detour for lunch to La Cuisine de Maman. It's just across the street from the airport, and you don't have to pay the Vermilionville admission fee in order to dine in. 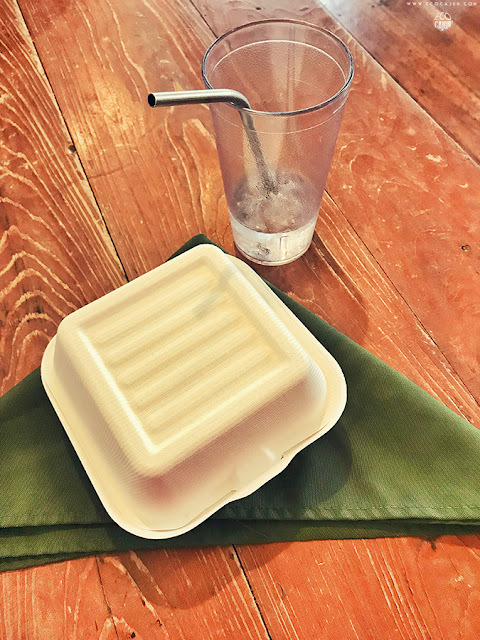 Help support this locally owned restaurant with a commitment to sustainability and reducing waste! Sign up for their email list to get the daily restaurant specials each week. And if the weather permits, pay the admission fee and check out Vermilionville.